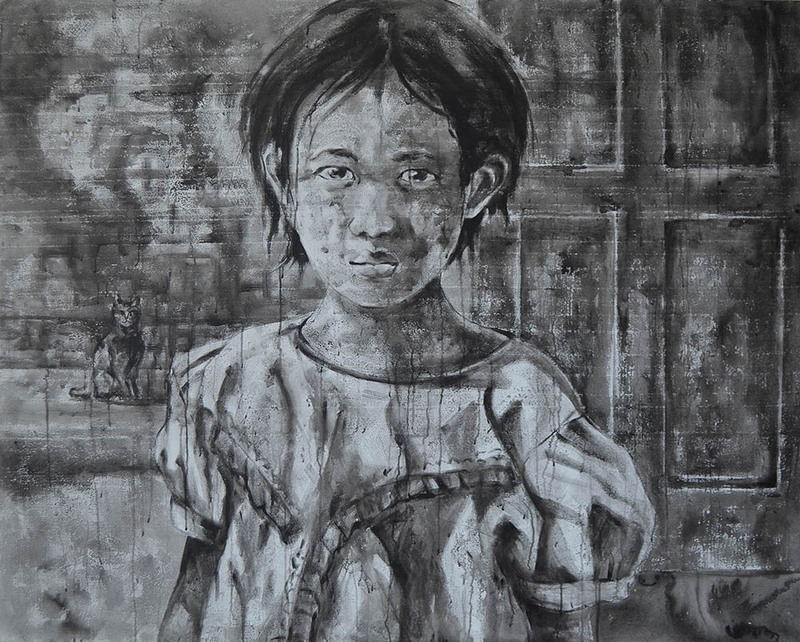 Khin Zaw Latt will be in southeastern France in July to share his Street Stories series. 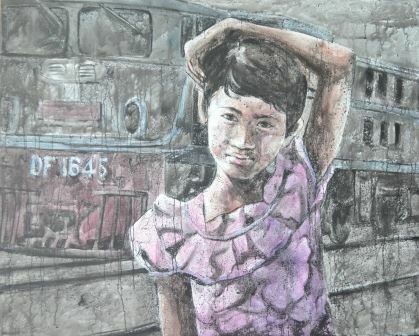 In 1961, a painting displayed at an art exhibition in Yangon’s Sarpay Beikman (literally Palace of Literature – a literature department under the information ministry) became the talk of the town. 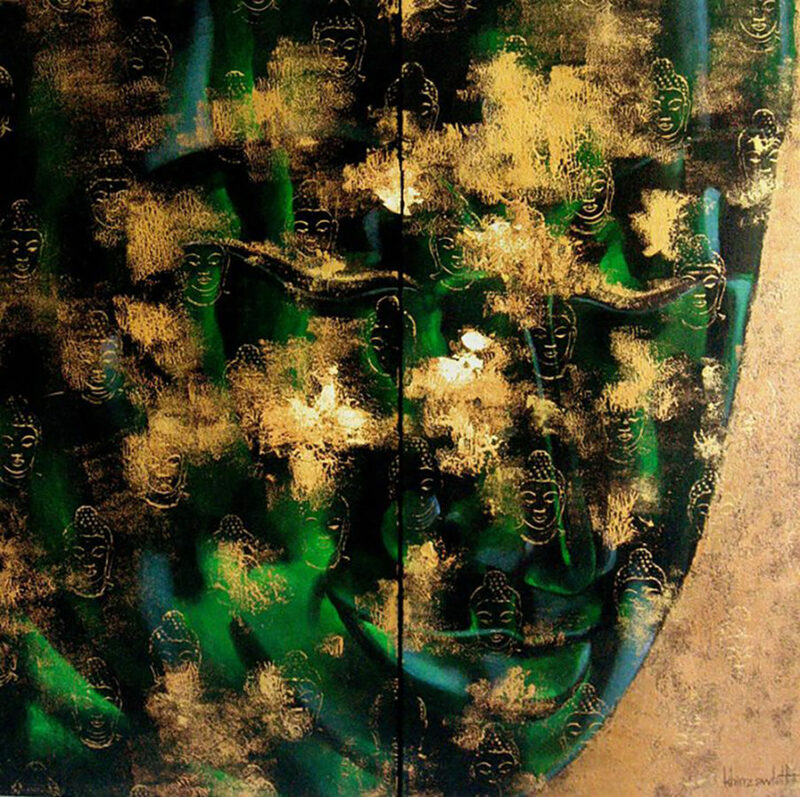 Entitled ‘Rice and Gold,’ the work by artist Maung Ngwe Htun depicted a man gilding a pagoda while another man ate a pack of rice together with dogs and crows. 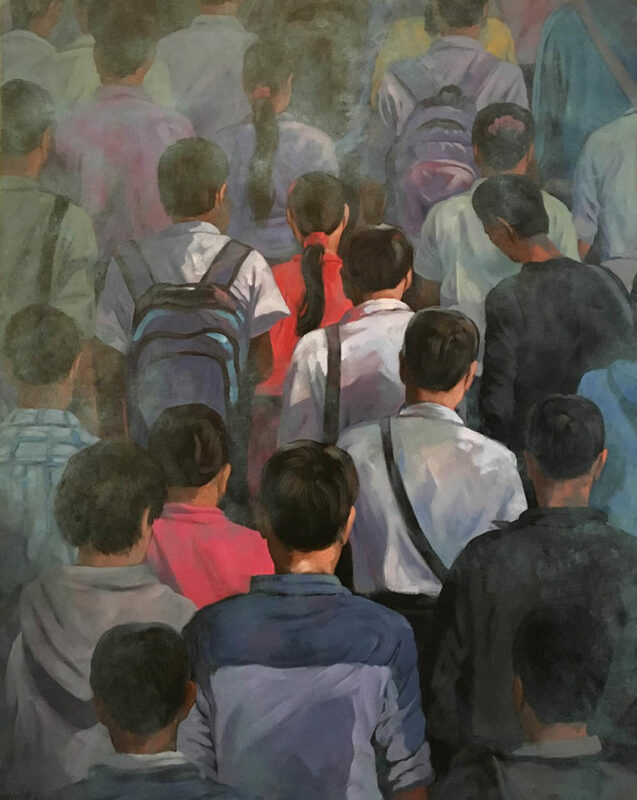 Art critic Paw Thit (Hanthawaddy U Win Tin – one of the late founders of the National League for Democracy) bought the painting for 600 kyats. 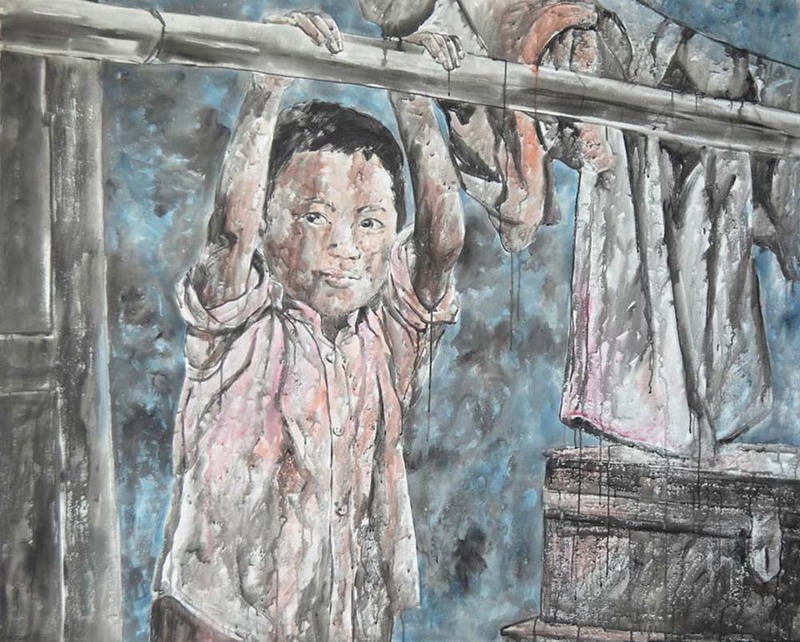 Some 60 years after Maung Ngwe Htun drew his famous picture, artist Khin Zaw Latt witnessed a similar scene. One day last year, Khin Zaw Latt was waiting with his friends who were gilding a famous pagoda. There he happened to talk with children who were begging for money and selling things. He took pictures and drew sketches of those children. 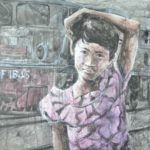 These portraits will be on display at the Retour De Voyage Art Gallery in L`lsle-sur-la-Sorgue, a town in southeastern France, from July 7 to August 6. Khin Zaw Latt also opened a free school, called Bamboo School, on his 4-acre parcel of land in Yangon’s Kyauktan Township. Children learn art, computers and English at the school, which has now been open for five years. 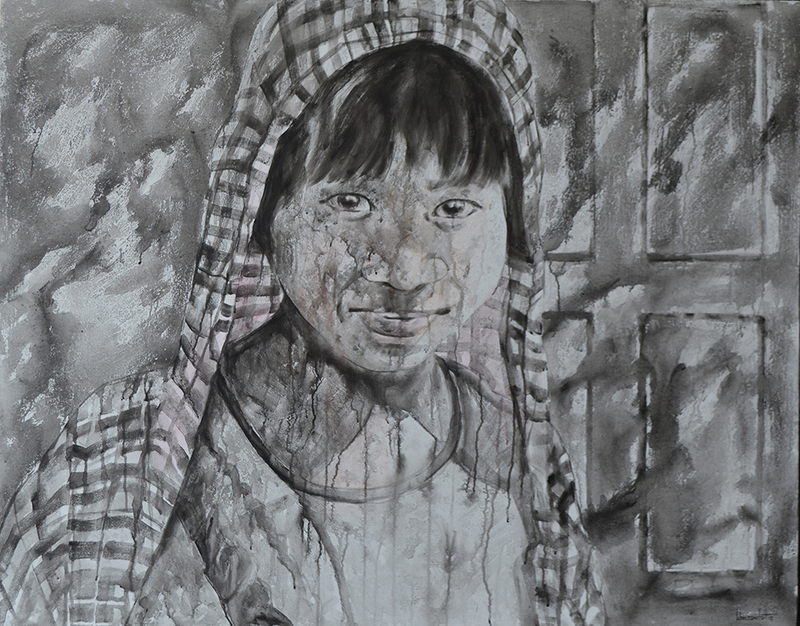 “I’m quite interested in the life experiences of children,” he told The Irrawaddy. 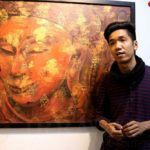 He said he has talked with children begging for money and selling things at pagodas, selling flowers on the street, selling foods and goods at railway stations and jetties, selling postcards to foreigners in downtown Yangon, and selling seashell necklaces at the beach. He has transformed their stories into art. 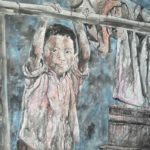 Khin Zaw Latt will show his street stories in France after Frederic Dol, a French man who owns a hotel and gallery, offered him an exhibition. 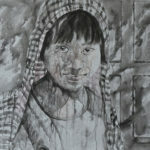 Frederic Dol has also organized solo exhibitions for Myanmar artists Than Kyaw Htay and Htein Lin. 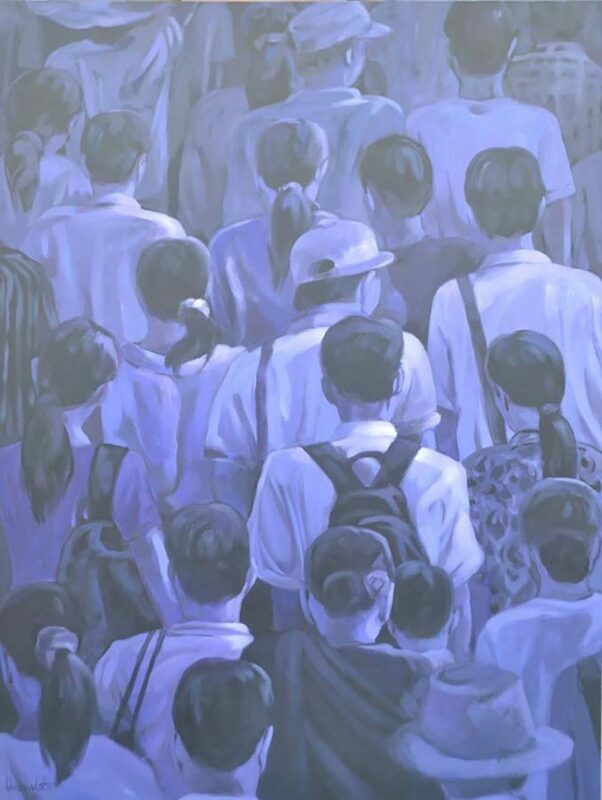 Khin Zaw Latt will also showcase some of his paintings from previous solo shows Blissful Buddha and Crowdscale at the coming exhibition, where he will show 17 paintings. 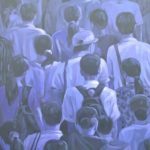 He said that Street Story is different from his previous series in terms of technique. “This technique matches my account of their lives. There is no certainty in their lives. No one can say what will happen to them. So, I applied the paints loosely. And I didn’t use bright colors, just black, white, and grey—just basic colors. I mainly focused on tone. 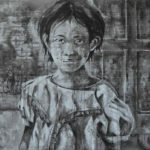 They are completely different from my previous series,” said Khin Zaw Latt. He has held several solo and group exhibitions in the United States, Canada, Italy, Belgium, Germany and more, and won local and international art awards. 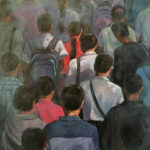 His paintings sell for thousands of dollars and are popular among international art collectors. 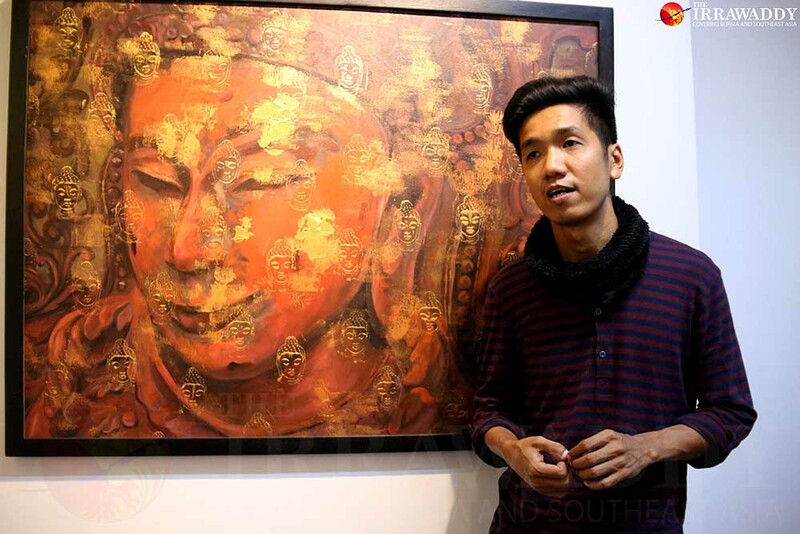 Khin Zaw Latt will be in southeastern France in July to tell his street stories.